Ms. Stone joined Holmes Weddle & Barcott in 2013 and practices in the firm’s Anchorage office. While attending law school, Ms. Stone worked for two summers as a law clerk in the State of Alaska District Attorney’s Office in Ketchikan, Alaska. Following graduation from law school, Ms. Stone returned to her home state of Alaska to become a permanent member of the Anchorage community. Prior to joining the firm, Ms. Stone worked for three years at another Anchorage law firm where she practiced general civil litigation and insurance defense. 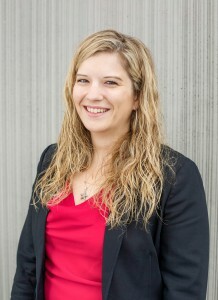 Ms. Stone is a member of the Alaska Bar Association, the Claims and Litigation Management Alliance (CLM), and the Anchorage Downtown Rotary Club.